This four-day course will prepare you to lead an enterprise Agile transformation by leveraging the Scaled Agile Framework® (SAFe®). 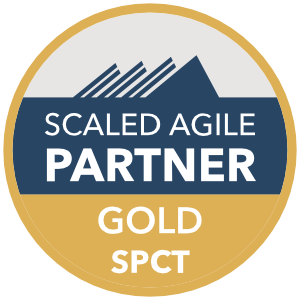 You will learn how to effectively apply the principles and practices of SAFe, including training with SAFe courseware, and coaching teams, launching Agile Release Trains, and building and managing an Agile portfolio. The first two days of the course—Leading SAFe—will provide you with the basis to teach SAFe to others, and if certified you’ll be eligible to teach the Leading SAFe course. The next two days focus exclusively on implementing SAFe. Certification is optional to attendees. Those who achieve SPC certification are authorized to license SAFe training materials. Who will benefit most out of this/ Audience? 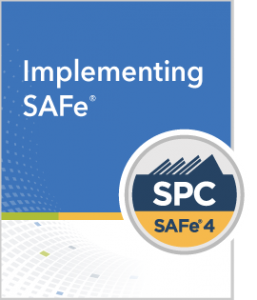 Gladwell Academy Presents Implementing SAFe® 4.6 with SPC4 Certification Based on version 4.6 of SAFe, a SPCT Gold Partner with Scaled Agile Inc. Hosted By: QAI India Ltd.